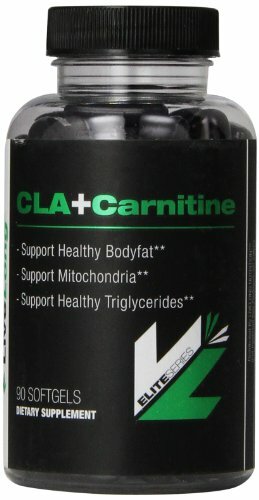 Cla+carnitine supports healthy body fat, supports mitochondria, supports healthy triglycerides. 90 soft gels, serving size 1 soft gel, serving per container: 90. SYNERGISTIC RESULTS- Conjugated Linoleic Acid (CLA) is not new to the supplement market. Its popularity has waxed and waned throughout the past few years. Many hoped it would be a magic bullet for fat loss, it's important to note that the kind of changes that occur with CLA are much more subtle at first, both because it simultaneously increases lean mass, and because it directly targets fat metabolism without the use of adrenergic stimulants like ephedra and yohimbine. TRANSFORMATION DEFINED-CLA is a naturally occurring in beef products, and has amazing effects on obesity,cholesterol levels,insulin resistance and lean body mass.Our interest lies in its dramatic potential to increase lean muscle mass while at the same time as activating pathways which utilizes stored bodyfat. CLA does what other fat loss products fail to do:Cause an increase in metabolism of fat, while protecting muscle tissue and in some instances, actually increase lean muscle mass. THE GAME CHANGER: L-Carnitine-L-Tartrate is a highly bioavailable form of L-Carnitine. an essential amino acid, meaning it cannot be created in the body, so it must be consumed from whole protein sources. L-Carnitine-L-Tartrate participates in several important bodily functions, but what interests us most is its ability to multiply the effects CLA has on body composition. LCLT increases androgen receptor density, meaning it makes the Testosterone our body produces work even more effectively. EASY TO STACK WITH PREWORKOUT: CLA alone improves muscle mass development, while the additional L-Carnitine-L-Tartrate increases that effect, by increasing receptor density and enhancing hormonal balance. If you are looking for a product that will transform your physique, adding lean muscle mass while also burning fat, look no further than CLA + Carnitine! If you have any questions about this product by LiveLong Nutrition, contact us by completing and submitting the form below. If you are looking for a specif part number, please include it with your message.